Meant to be a template for drilling holes in the corners of a box, but since I don't like to waste space, I made a pattern in the middle. It turned out the jig wasn't needed, so it's simply a kind of wall art. I only posted it because I'm clearing out my 123D archive now that the ol' girl's getting the ax. Sad day. 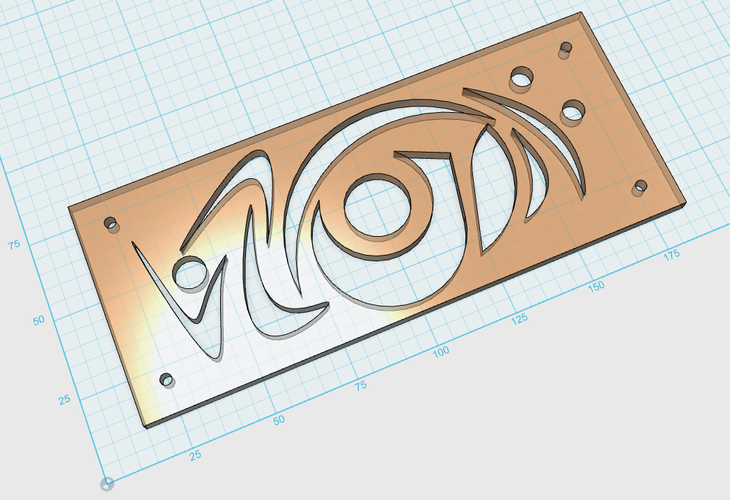 Also included are a Vector file and a DWG file for CNC, EDM, or laser cutters. See my Thingiverse listing for DWG and SVG files.